Hilarious. I get these all the time and they’re always great for a laugh. 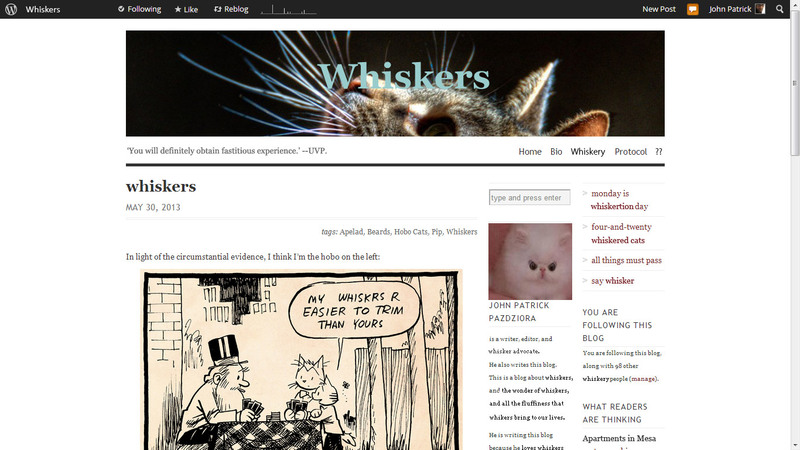 However, I’m a little disappointed that you have not permanently converted the banner to “whiskers.” In fact, scratch that, I am definitely disappointed. I’m a little disappointed, too! Definitely ‘Whiskers’. Oh wait. Isn’t that a sort of cat food? If paradoxes of Mr Pond is kinda plain, I’d hate to see complicated….